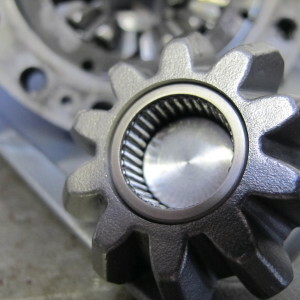 Evo X gearbox diff pin upgrade. 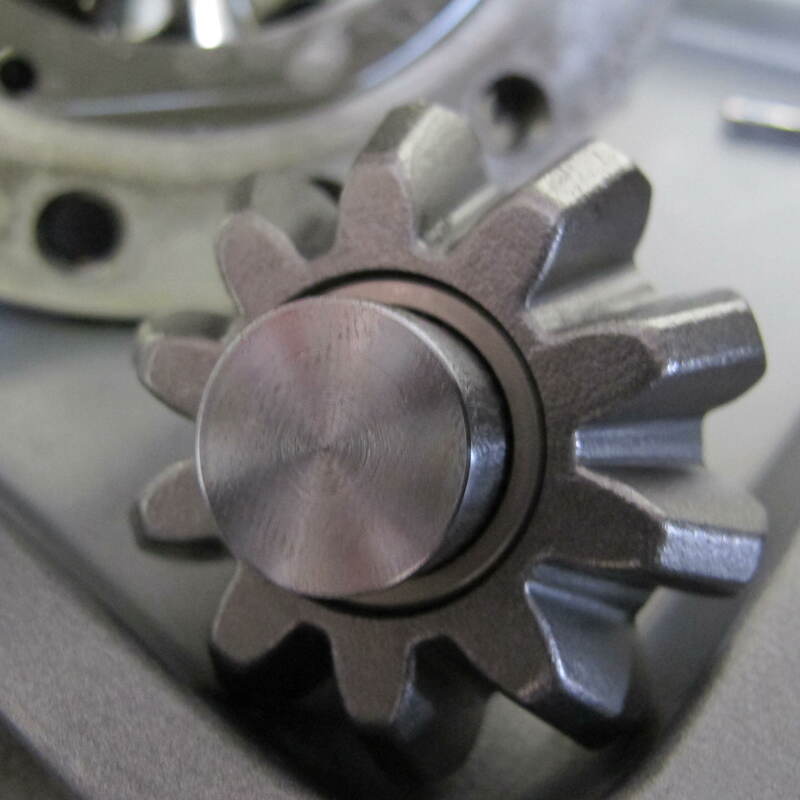 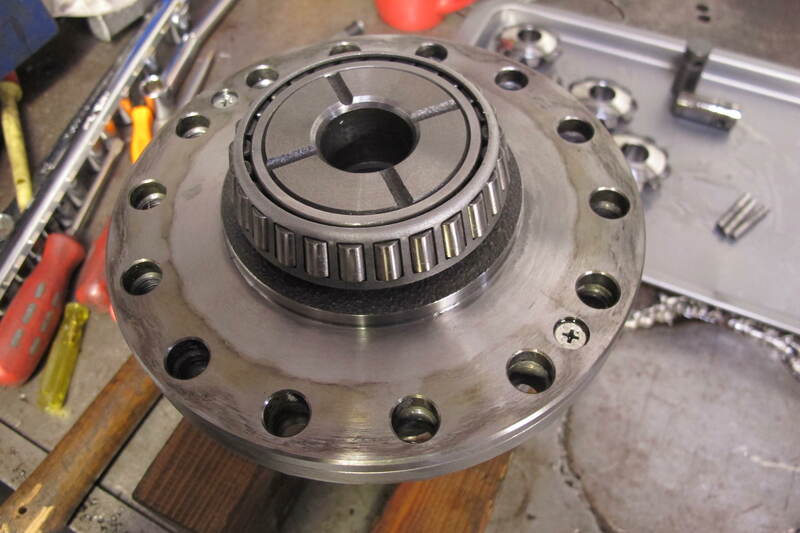 As many of you may or may not know, we rebuild a lot of gear boxes here at Auto Torque. The diff pin upgrades for the EVO X’s have proven themselves many times. 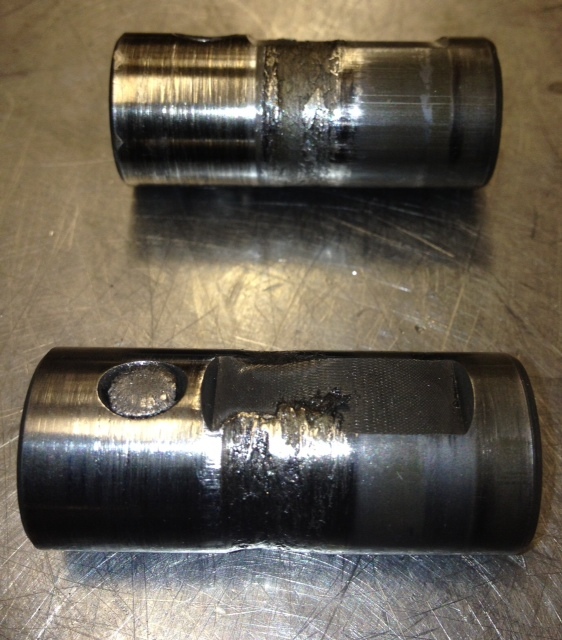 We have been rebuilding the EVO X transmissions and as time goes on we are seeing more and more centre differential failures, which is inside the 5 speed transmission. 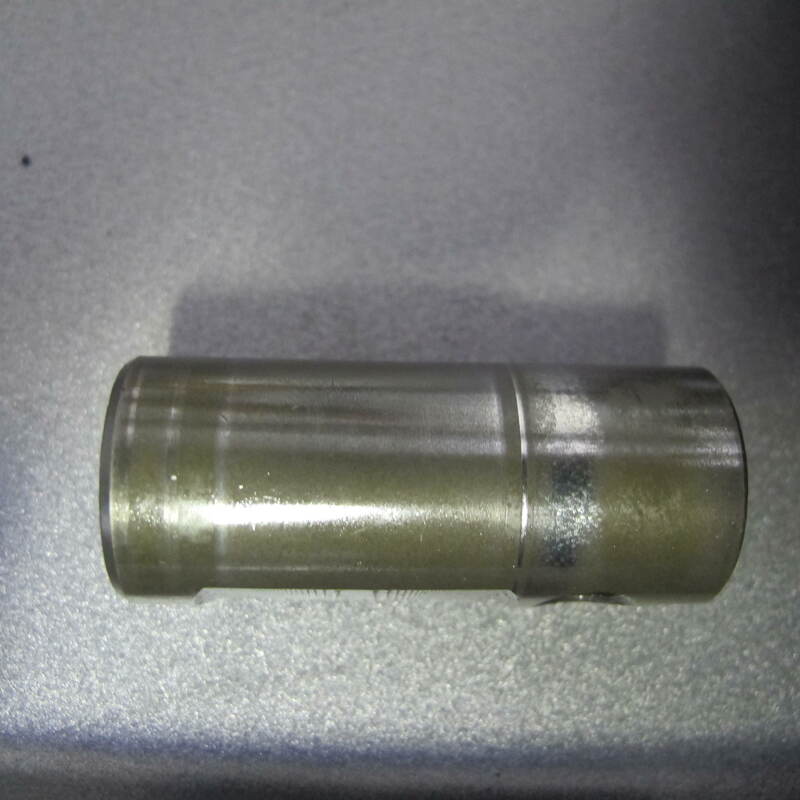 When the centre differential fails the pins break which hold in other pins, when these pins come loose and hit the inside of the case it then wears a hole through the case. 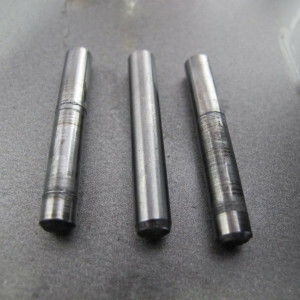 Below shows the two outer worn pins that hold the diff pins in place, middle pin is a upgraded modified version. These parts are not available separately from Mitsubishi, this forces you to buy a new stock differential and a new case. These parts will end up costing a fortune and failing in the same way. 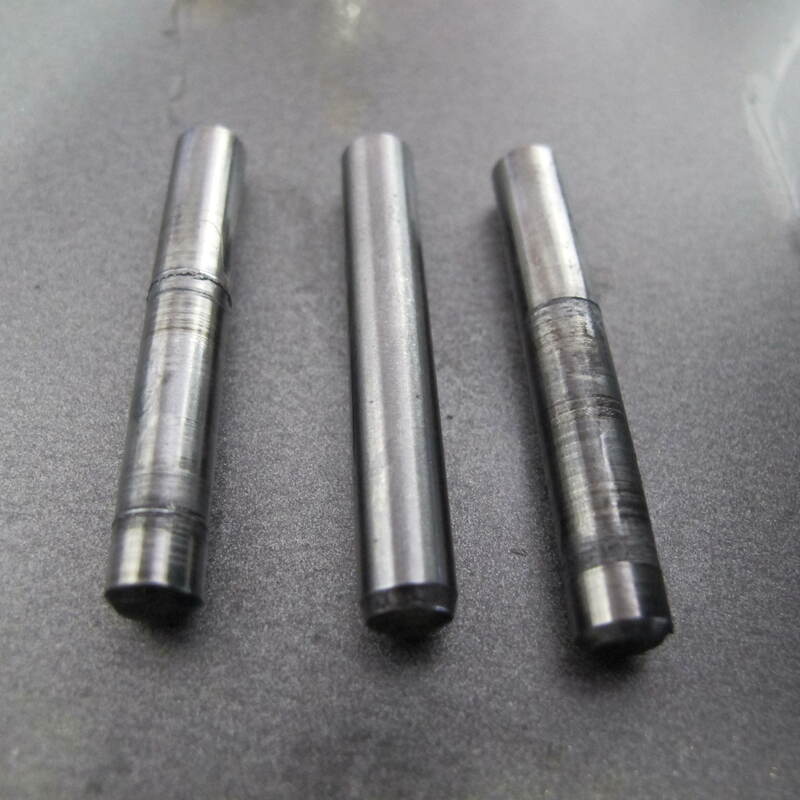 We now have a stronger modified diff pin kit available, note that a high tensile needle bearing has been precision machined into the diff gear. 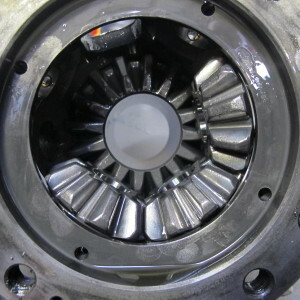 You can send in your centre differential or the entire transmission or car. 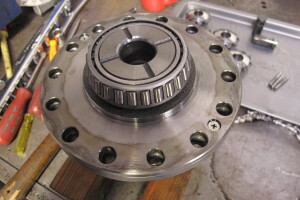 We can rebuild the gearbox or just repair the differential. We can also repair most of the transmission cases by welding them up if the hole wears through them. 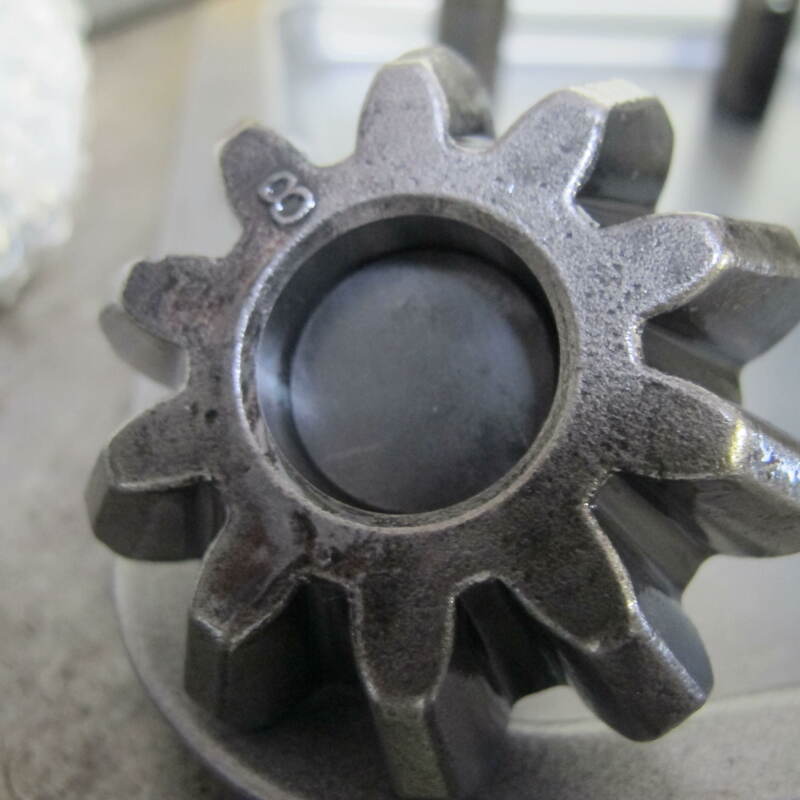 The parts are available but depending on what damage is done, what you are sending in to be fixed or if the gear box also needs to be rebuilt, pricing will vary. 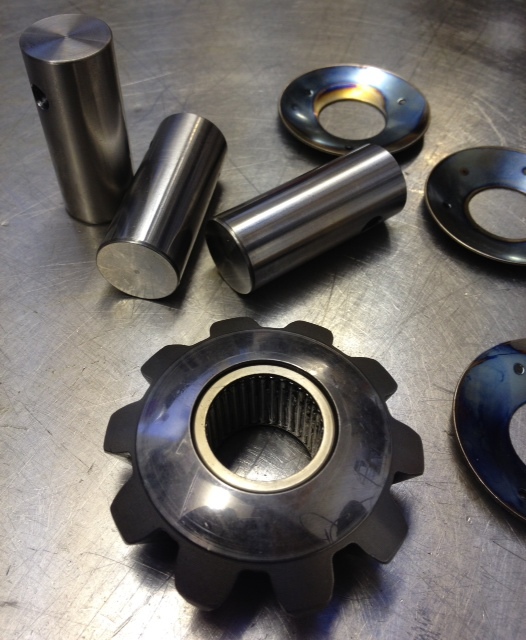 Uprated Diff pin kit £345 +vat Plus an £80 surcharge on refundable against your old parts.